If you’re looking for a pair of shorts that are both stylish and versatile, Canterbury’s Vapodri CCC Fleece Shorts can take you from the gym to the track with ease. With a classic design and Vapodri technology to wick away moisture, they’re a functional and stylish wardrobe choice. 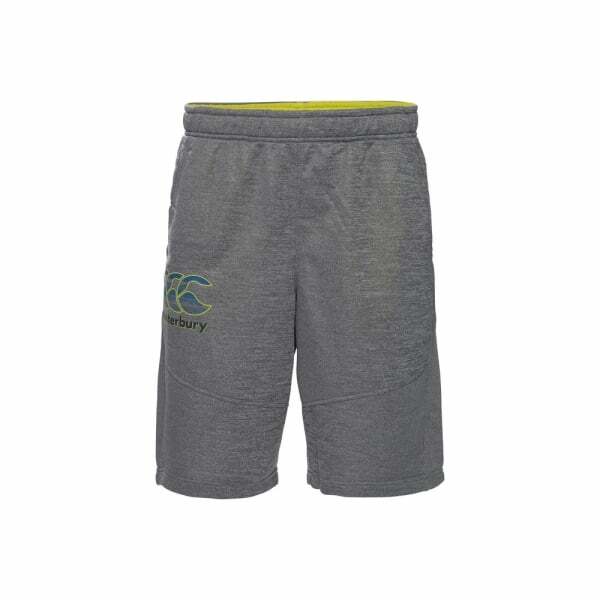 Canterbury’s Vapodri CCC Fleece Shorts are both functional and stylish, with an elasticated waist for maximum wearer comfort and angled slip in pockets for easy access to your valuables. These quality shorts feature Canterbury’s acclaimed Vapodri fabric technology, designed to optimise your comfort levels by wicking moisture away from your body and spreading it evenly across the fabric, aiding with evaporation and keeping you cooler and drier while you train. And they’re also the ideal weekend casual wear, with an on trend street ready design and exceptionally comfortable fit, making them the perfect all-round garment for your spring/summer sport/casual wardrobe.